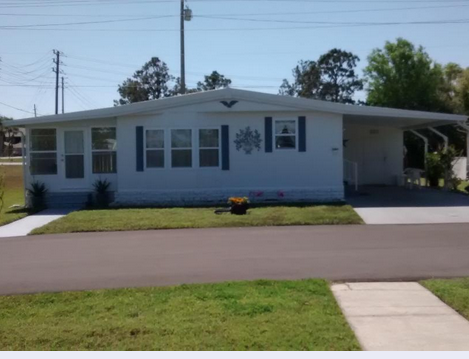 Interested in buying a Mobile/ Manufactured Home here in New Port Richey at Colony Cove Mobile Home Park?  Listed below are a number of homes available for purchase in our over 55 senior community. Colony Cove Address Realty Agent Telephone Listing Link . . .
Information on our website is intended to be accurate but being general in nature, it is not intended to be contractual. For detailed information on purchases in Colony Cove, you must refer to our community specific prospectus, resident owner community documents, rules and regulations and other resident owner share and lot rental information. 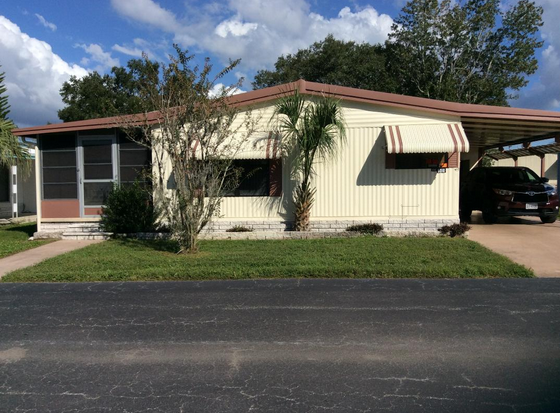 A 2 bedroom, 2 bath Florida home in great condition with a roof -over. Ready to move in. Spacious living room, dining room and kitchen. All furnishings and appliances included. New Refrigerator and washer. 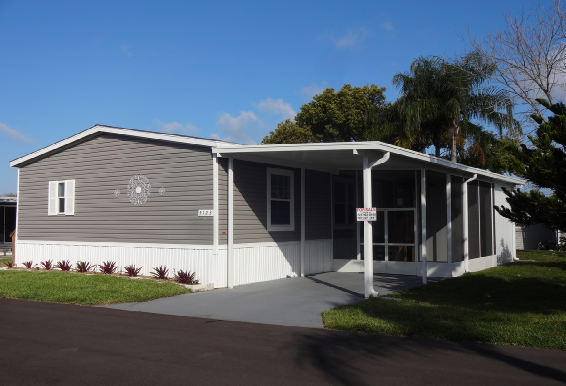 Includes a comfortable Florida room, a storage shed and an extended carport. Asking $35,000 but price is negotiable. New spacious 3 bedroom, 2 bath 2018 home. Recently placed on large lot. Home includes shed, carpot and screen room (Florida Room). Home is fully insulated inclusive of R-21 ceiling insulation and Low-E insulated windows. Included are appliance and fixture upgrades throughout. If interested, call the Colony Cove Office between 9 AM and 5 PM weekdays and we’ll answer any questions you may have. Additional pictures are available on realtor site listing noted above. Updated Roof, windows, plumbing. Sun room with ceramic tile. Laminate living room floor. Walk in closets. Heating vents in ceiling. Furnished: kitchen appliances, couch, beds, dining room table and chairs, washing machine. Large shed and extended carport. Water heater in shed. Monthly fees include water, sewer, trash, recycling, lawn, and cable. Built in 1982. 2 bedroom, 2 bath. 865 Sq Ft plus large Florida room. Long carport (2 vehicles) . Home is being sold furnished. Kitchen features a nice bay window with spacious counter. Built in hutch in dining room. Master bedroom features 2 closets. Large shower in master bath. Guest bedroom features a walk-in closet and second closet for added storage. Guest bath has tub, shower and built in storage. Monthly fees include water, sewer, trash, lawn and basic cable.